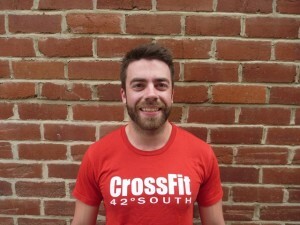 I enjoy the group training aspect of CrossFit, it makes working out fun and sociable. I love being able to come into CrossFit, hit a session and then go to the pub after with everyone and have a meal and a drink. I love seeing the enjoyment from people as they progress and learn new skills, ranging from having that athlete do a full squat for the first time, or hearing the yell of joy as a athlete completes their first muscle up. Seeing people improve themselves both physically and mentally is the most rewarding aspect of coaching. I hope to continue coaching as long as possible, the same goes with my own training. I also endeavor to one day finish my arts degree in philosophy so that I can ponder the deeper questions of life in my spare time. I grew up on the Gold Coast, where I was a cake decorator for over seven years. 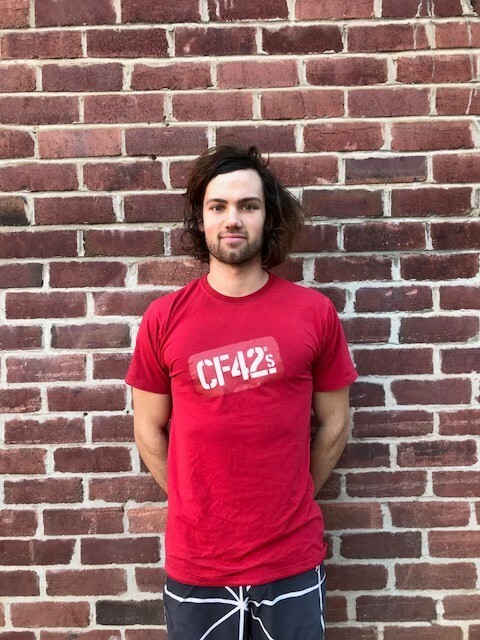 I did gymnastics for four years as a child, and I have been doing CrossFit for the last five years. I moved to Tasmania with my husband early in 2012 and since then have been working as a gymnastics coach at the Hobart PCYC. I love that CrossFit is an holistic approach to fitness that challenges me both physically and mentally. 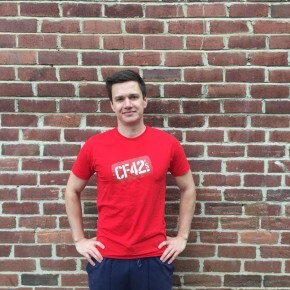 I love the community spirit at CF42s, and the diverse range of people I’ve met during my time here. I love that through CrossFit I have become a healthy and fit human being. I love having the privilege of being able to teach people how to move better & become healthier humans. I love the sense of pride you have as a trainer, seeing an athlete gain a new skill or PB a lift, my most favourite thing though, is watching new athletes come train, learn & listen and give all their heart to every workout & to see them 6 months down the track being able to do things they never even thought were possible when they first came in. As an athlete, my aim is to enjoy my training, try & fit in 3-4 training sessions a week now that I have a baby & in time, work myself back up to a competing level. 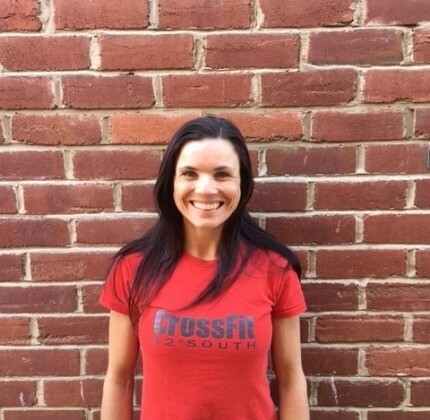 As a coach, my goal is to keep progressing in my knowledge of CrossFit methodology; to keep learning & growing & challenging myself to be better every time I coach. And to be a happy, healthy human being & enjoy life with my husband & daughter. 20 years in the hospitality and tourism industry. 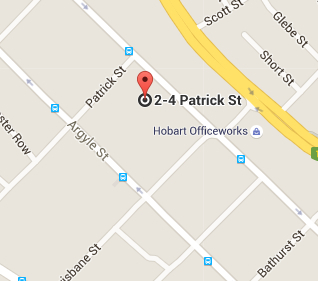 In 2014 I was running my own business, a small restaurant in North Hobart. It was busy! I made my decision to sell and take some time off to explore a new career path…… So glad I did…..I’ve never looked back! 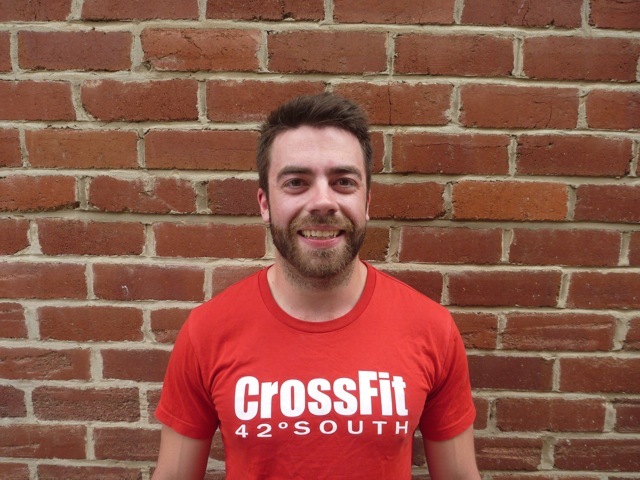 I walked into my first Crossfit session back in 2012. What came next had me falling hook, line and sinker. 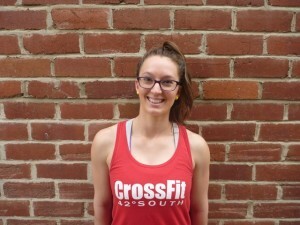 My first Crossfit WOD showed me how fun training could be. It was challenging, humbling, fun and motivating. I love how Crossfit encourages determination and the willingness to learn. Oh……most importantly I love the coffee/food dates after training with my awesome training buddies. Having the opportunity to work with amazing athletes, beginners to advanced from all walks of life. Watching our athletes grow and progress, mentally, emotionally and physically gives me a deep feeling of gratitude that I have had the privilege to share in their journey. My future aspirations as an athlete are to just keep growing. To keep challenging my body and mind in finding an optimal level of health and happiness. As a coach I plan to keep learning and gaining the most experience and knowledge as possible. My learning goals for the next to 12 months are to complete the Level 2 Crossfit and AWF weightlifting certifications. My 2 year goal is to complete a Yoga instructors course. I believe the knowledge and experience I will gain during my yoga practice and the course will provide me me with an invaluable tool to add to my trainer tool box. I am originally from Thailand, I moved here when I was 15 years old. I grew up in an active environment taking part in Muay Thai, sprinting and soccer. I have always been interested in health, fitness and self improvement. I am currently completing studies to become a nurse. Each day brings new challenges and is always variable. I enjoy facing these obstacles head on and learning new skills and improving. You always come away from the class feeling like you’re achieved some small (or big!) victory. I enjoy helping people realise their potential and it’s very rewarding being part of their journey. Plus you get to work with some amazing people and have loads of fun along the way. As an athlete I would like to improve my gymnastics ability, increase my lifting numbers and maybe not complain so much about running. As a coach I feel I will always be learning and seeking out opportunities to learn more. I would like to complete my level 2 coaching cert one day and perhaps even an Olympic lifting and mobility course. As a human I’m looking forward to graduating as a nurse and starting a family with my partner in the not too distant future. I grew up here in Tasmania and after making my way through college I wasnt sure with what I wanted to do with myself. I had developed and interest in fitness from simple going to the gym in my spare time, this lead to studying it after college out of an interest in helping myself and others. I love that crossfit utilises so many different methods of training and different movements in one program. Also the intensity scares me a little bit, but in a good way. I love the way Crossfits methodology is able to take two completely different athletes and give them both the same workout. Regardless of where any idividual is at in there fitness journey, we can all join in the same Wod and all end up on the floor together. As an athlete. Im naturally a very lightweight guy and this makes some of the weightlifting elements hard to pull off at an RXD level. I aim to get stronger so i can be a better overall athlete. As a coach. 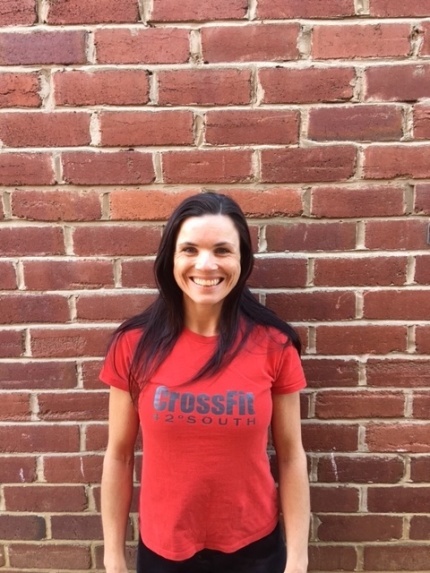 I want to broaden my knowledge of everything Crossfit has to offer and continue to work with more and more people through coaching its methodology. As a huamn being. I am currently looking into attending university for 2017 and staring in the Ace Ventura reboot. Education and Qualifications: crossfit L1 trainer, diploma in sport and recreation management. 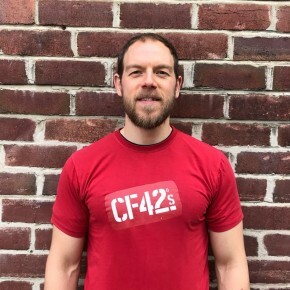 What you like about CrossFit: I like how CrossFit has made fitness into a sport that creates a club like community for people wanting to improve their health. 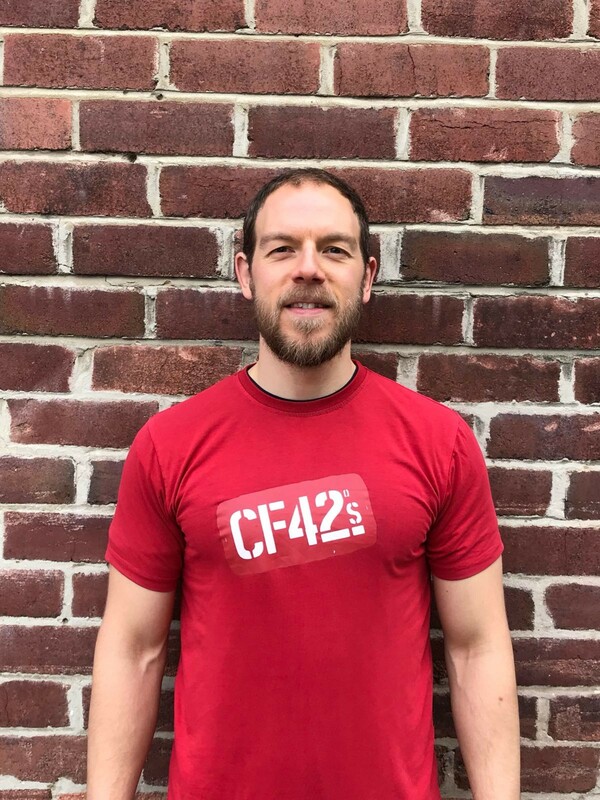 What you like about coaching CrossFit: I like seeing the progress people make by having faith in us as coaches and the CrossFit methodology. Future aspirations as an athlete/coach/ human being: as an athlete, I want to get better at my weaknesses as a coach I want help people to achieve their fitness goals and as a human, I want to be a good husband and role model for my kids. Education: Cert 3 in Fitness, Level 1 CF Trainer. Background: never been outside of Australia! Lived in Hobart my whole life. Not super exciting. What I like about CrossFit: being able to give a 20-year-old footballer and a 70-year-old grandmother the same workout due to CrossFit being ‘scalable’. 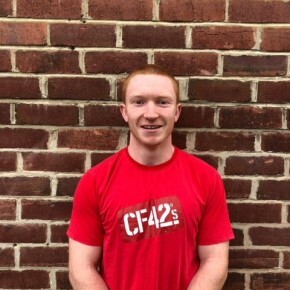 What I like about coaching CrossFit: my favorite thing about coaching is the look on somebodies face when they finally complete something they’ve been working so hard for. I also love that the atmosphere isn’t too serious; it’s great to be able to crack a joke or seven. Athlete: be consistently consistent with training. 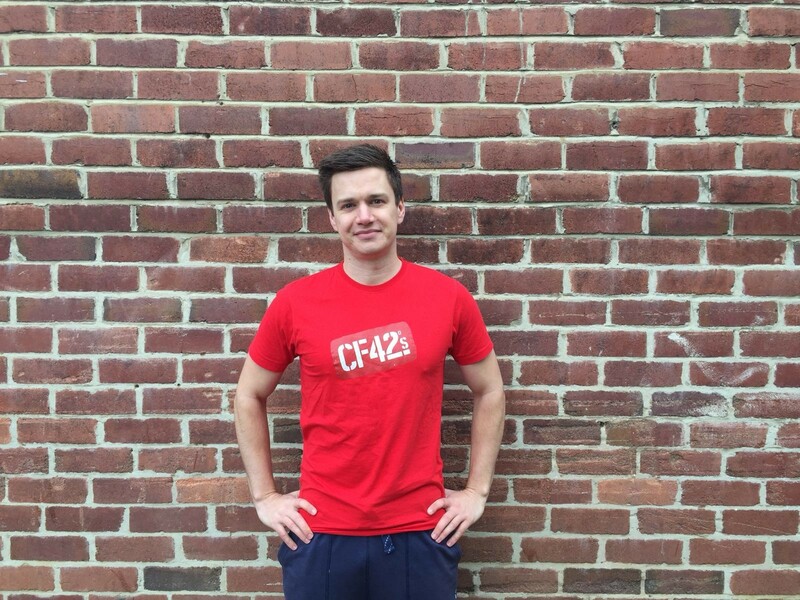 Coach: eventually complete CF Level 2 and keep an open mind towards different methodologies and coaching methods. Life: maintaining a solid work/family/training balance whilst finishing my electrical apprenticeship. Qualifications: CrossFit level 1, certificate lll in fitness, Certificate lV in fitness, CrossFit Strongman. 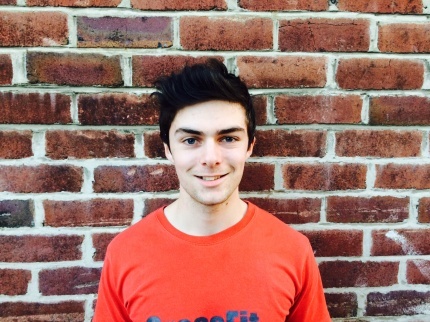 Background: I’ve lived in Hobart my whole life and I have been in the fitness industry since I was in high school. 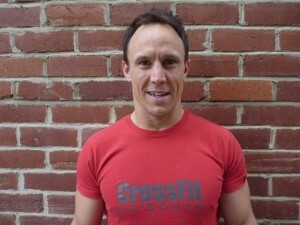 What I like about CrossFit: I like that CrossFit is constantly varied so you are rarely bored. Also that it is scalable for everyone, no matter the age, weight or level of fitness. 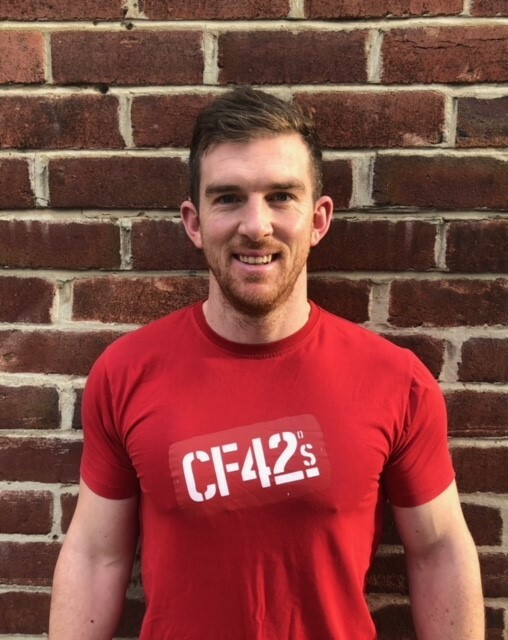 What I like about coaching CrossFit: I enjoy supporting people’s decisions on bettering themselves in the gym and being there for them whilst they progress through the journey of getting fitter. 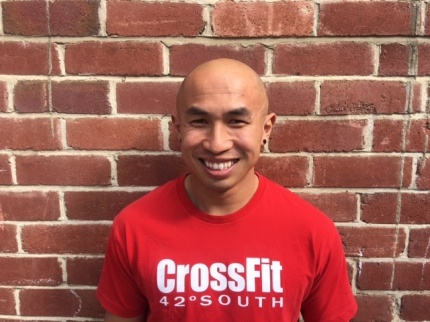 Coach: Broadening my knowledge further in the fitness industry so I can then offer more to help people fulfill their goals. 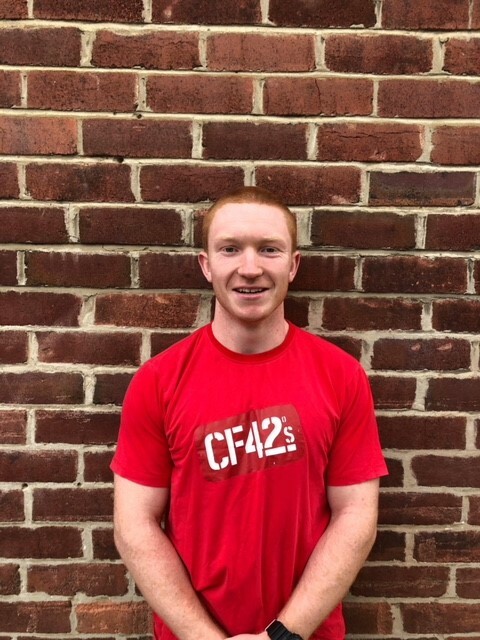 What I like about CrossFit: I Love the variety of workouts – CF can keep you consistently coming back due to the programming and community. I love how CF exposes your weaknesses and makes you self-evaluate. I love the humility that CF brings to everyone that walks in the door. What I love about coaching CrossFit: Forming relationships, encouraging people to do things they thought they couldn’t ever do, and seeing that become a reality. As a coach, I love the variety of challenges it presents with its programming. You are always learning and inspiring to be better in some aspect of your coaching. I have been in the fitness industry for the last decade and a bit. I’ve worked as a trainer for a majority of that time, focusing on strength and conditioning with teams and individuals. 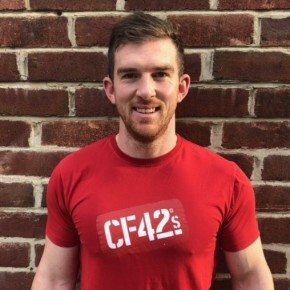 In 2014 I was invited to come along and train at CF42. Having become bored of the gym, I found CrossFit rejuvenated my enthusiasm for exercise, not only on a personal level but on a work level also. 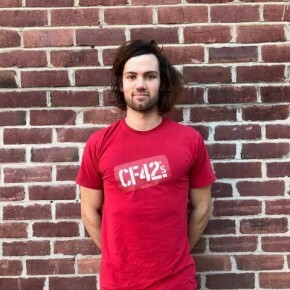 Outside of CrossFit, I Enjoy spending time with my wife and dog, travel, exercising with my mates, and living the YTF lifestyle. Further development as a coach/trainer. Increasing my knowledge in all areas of exercise science and continue to help enhance people’s lives through exercise. I started training shortly after I join the army and I quickly became a big part of my life, I loved seeing how far I could push myself. When a new gym opened up a friend suggested we try out Crossfit and I haven’t looked back since. It was the constantly varied training style that got me interested but it’s the people that make it the great place that it is. I’ve never been to a gym with such a welcoming and friendly group of people. No matter what level you’re on everyone’s supportive and want to see you do the best that you can. There’s no better feeling as a coach than seeing someone achieve a long-term goal that you know they’ve worked hard to achieve. Being part of that, even if it’s only a small part, is one of the best feelings you can get in the gym. At the moment as an athlete I’m really trying to work on some of my biggest weakness, mainly that’s my strength. I’ve always been more focused on what I was good at which is the longer endurance workouts so I’m trying to change it up a bit and put on some more muscle. I’m doing the same thing with my coaching and trying to learn new skills and methods to make me a better all-round coach. Even when you’re teaching you never stop learning. Outside the gym, I’m focussed on my other passion which is neuroscience. I’m aiming to finish my Ph.D. and continue research how the brain can adapt after an injury.